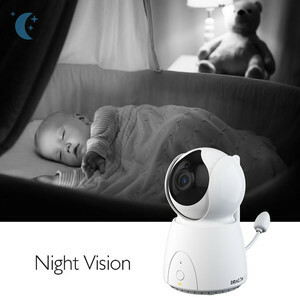 AUTO-MOTION TRACKING BABY CAMERA: The camera will automatically move following with the people or object in the range of lens. Never miss your baby’s action. 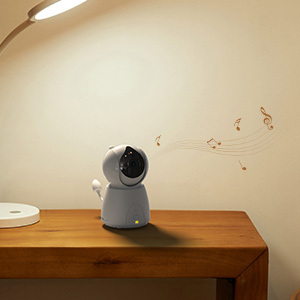 AUDIO BABY MONITOR ONLY: It allows you peace of mind if you do not want to be disturbed by video at night. The monitor will be turned on automatically when the camera detects the sound even when the screen is off. 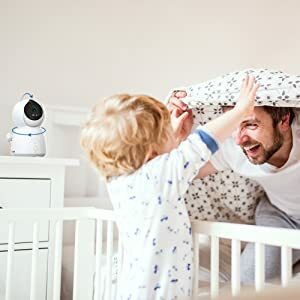 LARGE 5 INCH LCD SCREEN: 5 Inch Color Screen with Digital Zoom and Pan/Tilt function, this video baby monitor allows you to watch your baby from 360°angle. 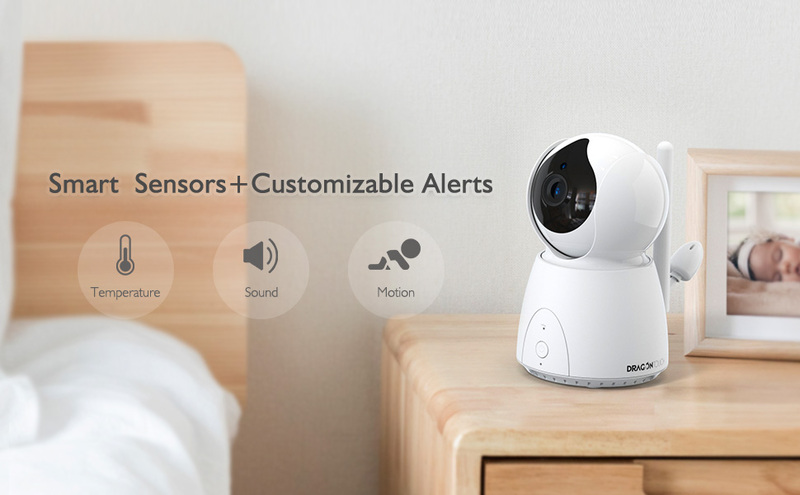 SMART FEATURES: VOX Mode, Room Temperature Monitor and Alert, Feeding Timer Alarm, Two-Way Talk, Night Vision, Motion Detection, Lullaby, Sound Activated LED Lights, Expandable UP to 4 Cameras. 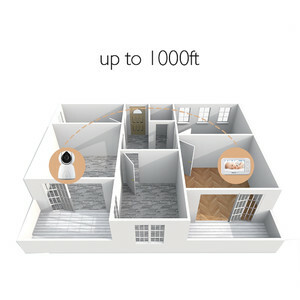 2.4GHz FHSS WIRELESS TECHNOLOGY: The baby monitor connection by enhanced 2.4 GHz wireless technology, connection range up to 1000 feet(Line of sight, no obstructions), more secure and more stable. By buying this product you can collect up to 89 loyalty points. Your cart will total 89 points that can be converted into a voucher of $0.89. 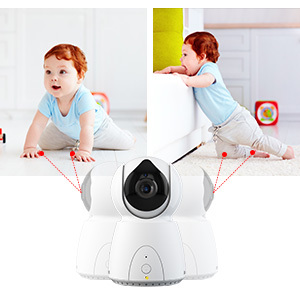 Remote control camera rotate 350° in horizontal and 90° vertical ensuring you always have a clear view of your baby from any angle. 2x Zoom allows you to get bigger video. 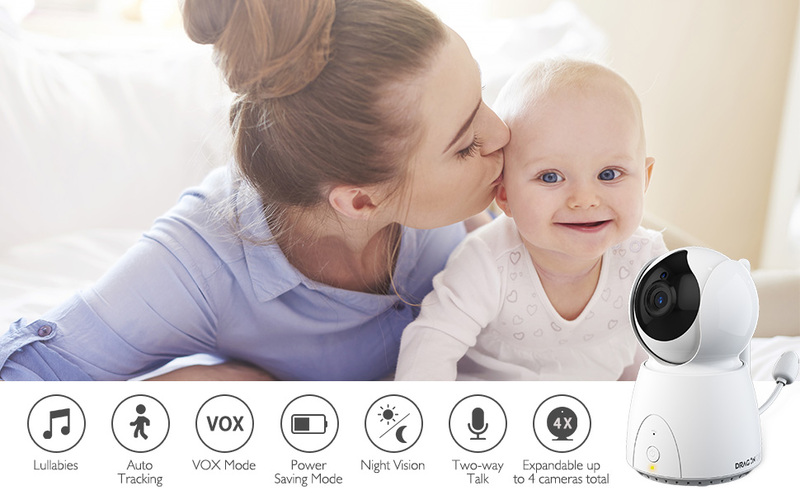 The video baby monitor to audio mode if you don’t want to disturb by the video, battery consumption reduce by 50%. 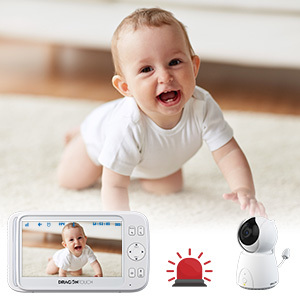 The video baby monitor will auto-track baby's motion and send alarm, capture your baby’s action all the time. 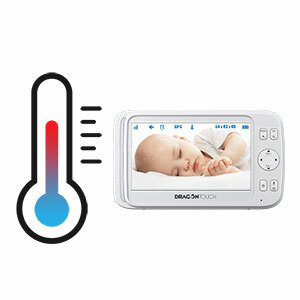 The baby camera is equipped with a temperature sensor, allows you know your baby is comfortable and safe. The audio baby monitor informs you whenever your baby is crying. Capture baby's motion and send alarm to you, ensure your baby's safety. 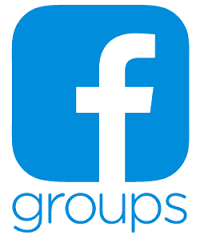 Soothe your baby by playing lullabies remotely as if you were in the same room with your little one. Visibility up to 6.5 feet in complete darkness extends your vision at night, never miss a moment, day or night. The portable parent unit can move around with you, enabling you to hear, see and talk to your baby no matter where you are in the house.